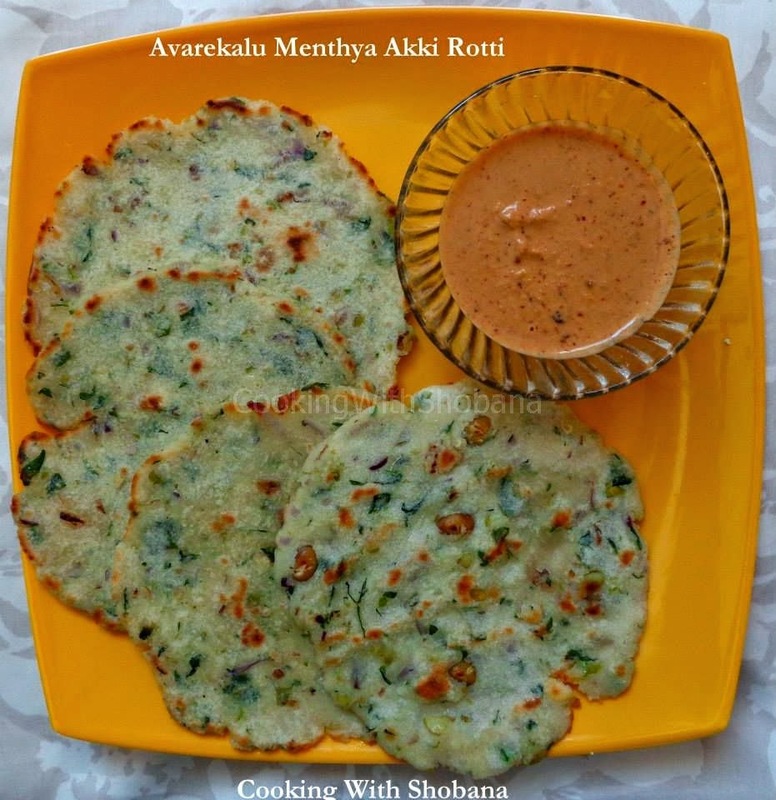 This dish from Karnataka is one type of Akki Rotti (featured elsewhere in this blog) with the fragrance of fenugreek leaves (Menthya Soppu in Kannada) and Avarekalu (Hyacinth beans). As you know the Avarekalu season is ending soon, so I made this dish. The addition of the Avarekalu makes this dish more filling as well as tasty. The averakalu has first to be deskinned. To do this, soak it in water for 3-4 hours. Then remove the outer skin by pressing the bean between the thumb and index finger. Oil, for roasting the rottis. 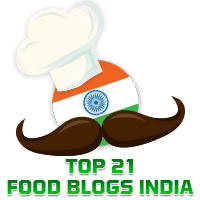 Grind the grated coconut and the green chillies together in a small mixer jar with very little water till the green chillies are fully crushed. In a bowl, mix this coconut-chilli paste along with rice flour, chopped onion, a pinch of asafoetida, chopped fenugreek leaves, cooked avarekalu and salt. Knead this to a soft dough by adding some warm water and a little atta for binding the dough. Divide the dough into equal-sized balls and pat them to make rottis. This is best done by applying a little oil on to a plastic sheet and patting the dough evenly using your fingers to form a round rotti. Heat the tawa and when it is hot, hold the plastic sheet with the patted rotti in one hand and peel off the plastic sheet with the other and place the rotti on the tawa. Drizzle enough oil to roast it to a golden brown. Flip and roast the other side as well.